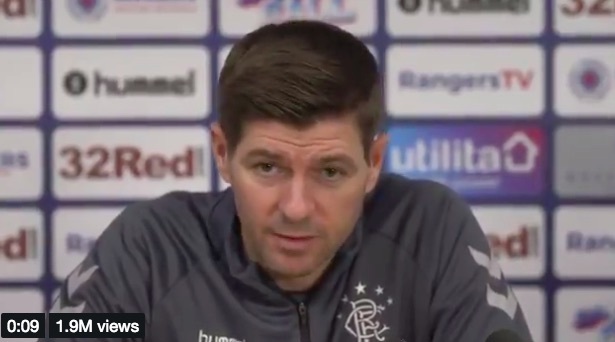 This clip of him answering Jordan Rossiter’s question during a Rangers press-conference has gone viral on Twitter – and we can see why. A reporter asks our former midfield prodigy about Gerrard’s recent comments that new players could be brought in – but Stevie steps in and finishes the journalist with ice-cool precision. It’s actually a little intimidating – but gives us an insight into what kind of boss Gerrard can go on to be! Gerrard is doing a decent job north of the border. Rangers are top of their Europa League Group and just three points off 2nd place with a game in hand. There have been poor performances, but the progress is obvious.